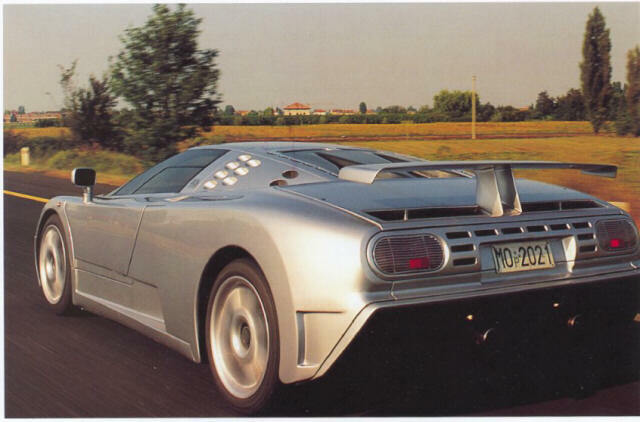 The Bugatti EB110, though having been out of production for 8 years, is still one of the world's fastest cars. The car is powered by a 650 horsepower V12 with four turbochargers, pushing the car to speeds as high as 217 miles per hour! This amazing supercar can also accelerate from 0-60 mph in just 3.3 seconds! 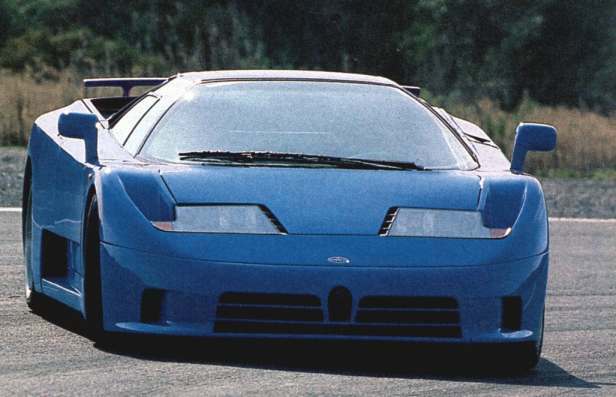 The Bugatti EB110 isn't just a car built for speed though. It is still one of the best looking cars on the road today. Pretty much every single part of the car is amazingly beautiful and with its low, sleek body style, the EB110 screams "get outta my way!"